A North Carolina couple surprised their family and friends with the news they were adopting four siblings from around the world. 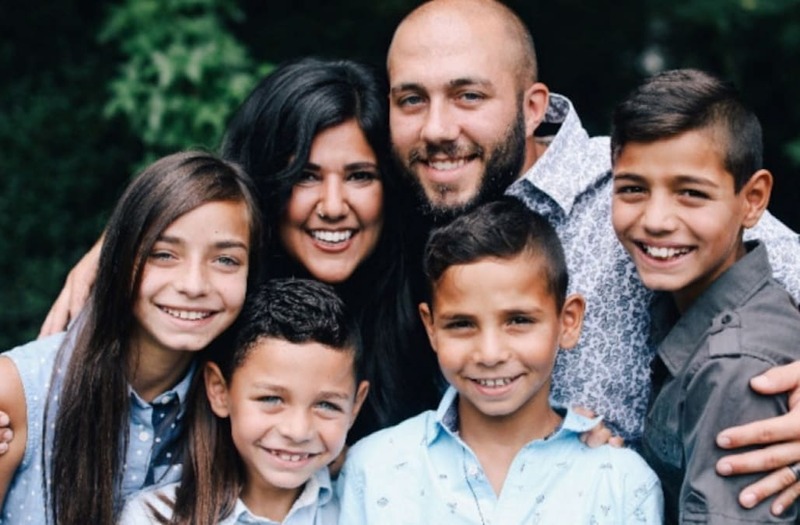 Tammy and Drew Waltz met their four soon-to-be a children through a program, Open Hearts and Homes for Children, that allows families to host kids for weeks during Christmastime and the summer. The Waltzes decided they wanted to become hosts, but little did they know, they would gain four children. “We saw a picture of the oldest boy and when we saw his picture, we thought he was super cute and we were drawn to him,” Tammy Waltz told InsideEdition.com. “Then we saw that he had a sister. We are interested in adoption and the organization came back to us and said, ‘There [are] actually two more and we are not willing to separate them.' So we were like, 'Let’s take four.'" The kids, ages 8, 9, 11 and 13, live in eastern Europe and don’t speak English, but that didn’t deter the couple from falling in love with them. “It was very evident, very soon that it was right for us,” Waltz said. Once the children left, Waltz said she and her husband decided in March that they wanted to formally adopt the kids and began planning how they would tell friends and family. That’s when she came up with the idea of filming their reactions. Over the next several months, she filmed the reactions of their loved ones, and in August, once the video was done, they decided to tell the children, who were visiting over the summer. They never expected the reaction video to garner so much attention, but once it was posted to Facebook it went viral, with nearly 200,000 views. “We were really surprised. I had no idea that anyone was going to see it other than the people who were in the video so whenever people started sharing it and we started see how far it was reaching, It was really, really exciting,” Drew Waltz said. The couple explained that it was extremely difficult to have their kids leave again after their August visit, but that it will be surreal when they are finally in the U.S. — for good.